To provide counselling, education and support based on Christian ethics and values, within the context of caring relationships, where change is encouraged and assisted in ways which confront barriers to personal growth, and may deepen an experience of God, and strengthen our community. A wide range of issues, therapy and education. 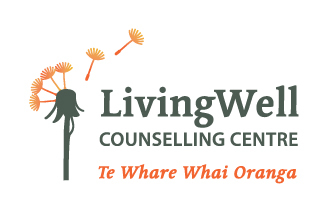 At the Living Well Counselling Centre we serve the greater Horowhenua District by providing a safe place for individuals, couples and families to come with life's difficulties. 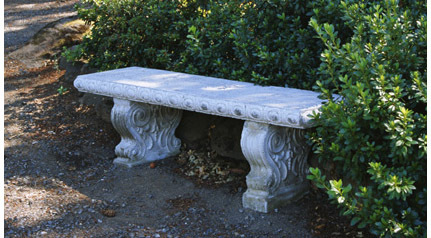 Our staff represent a broad range of experience in the field of counselling and also in the field of life. We are skilful at engaging meaningfully with clients and building solid, trusting relationships that produce positive change. We are a not-for-profit organisation and a Registered Charitable Trust. This means we are largely reliant on the generous support of various philanthropic Trusts and supporters for the finances to run our community service. To find out more about these supporters or to become a supporter yourself please check out our Supporters page. -The Christian Counselling Centre came into being because of a common heartfelt concern that four people had about the lack of counselling support available in the Horowhenua region. After many discussions, Wade Webby (Engineer & Chaplain), Viv Webby (Businesswoman), Malcolm Russell (Teacher & Counsellor), and Bruce Honore (Businessman & Church leader), decided they needed to do something about it. -Consequently, the Counselling Centre opened in 1990 with one counsellor, Wade Webby, operating out of a small rear office in Viv Webby’s secretarial business (which was also the major financial provider). Several volunteer workers also assisted with a variety of support roles that freed the counsellors to concentrate on their face to face counselling work. -At the beginning of 1995 Queen St Chapel took financial responsibility for the Centre, and took it through the transition from a small private practice to a community based service. Governance of the Centre was placed in the hands of the ‘Levin Christian Care Trust’, an inter-denominational group set up specifically for the purpose (six churches are currently represented on the board). Today the Centre is a not-for-profit non-government agency with a reputation for discretion, professionalism and caring sensitivity. -In November 2007 founder and Manager Wade Webby retired due to ill health. Wade’s calm and steady manner was a huge loss to the organisation. Wade had worked tirelessly over his 17 years building CCC’s first-rate reputation both locally and nationally. -The Centre has continued to grow and 21 years after the first tentative steps employs 6 part-time counsellors, including two trainees, a part-time receptionist and a full time Practice Manager. Together they assist around 250 new people each year. -In 2008 the Centre engaged in an energetic and robust self-review of its management and governance systems and practices. As a result new procedures, policies, recording and review practices were formalised and became an ongoing pattern and focus of the board and management. -2009 proved a challenging year as we rode through the darkest days of the global recession. With reduced income we ran a leaner operation but continued to provide professional counselling to those in need in Horowhenua. -2010 – WE MOVED!!! After years of struggling with the limitations of the Oxford Street location, October 2010 saw us move into bigger and brighter premises on Queen Street. The new premises have a lift and overcome any disability barriers. Abundant free parking and a professional appearance allow us to serve the community in a beautifully fresh and contemporary environment. 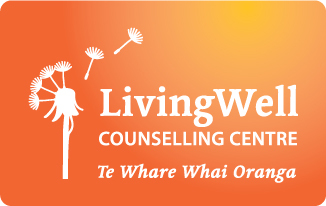 -In 2012 we have taken another bold step by rebranding ourselves as 'Living Well Counselling Centre'. Our new name reflects our intention to continue to provide an excellent service to the whole community – no barriers.